From soccer moms to college students everyone loves a good discount. However, some discounts count far more than others. The purchase of property, especially a fractional ownership vacation property, is among one of the most significant purchases any person will make. Therefore, saving money on the purchase of a luxury vacation property is far more significant than getting a discount on your daily coffee. However, most people who purchase fractional ownership homes are unaware of how to find the most heavily discounted properties. This miniature guide will help you find the best deals on vacation homes. It is difficult to consider a major purchase such as a vacation property without having a solid grasp of your finances and the amount you can spend on a fractional vacation property. Whether you can spend $99,000 or $999,000, there is a luxury fractional ownership vacation home to meet your budget and location preferences. Knowing your budget comes with additional perks, as well. For instance, you can look at fractional ownership resale homes that are slightly above your budget with the knowledge that most owners will be willing to negotiate a substantial discount with serious and interested buyers. It is virtually impossible to find a fractional vacation home at an amazing discount if you are unsure of the type of home you are looking for, where you would like it to be located, or how much space you will require. Do you need one bedroom, two, three, or more? It will help to have an idea of how many people you typically vacation with, whether you plan on expanding your family anytime soon, or if there are friends or relatives you would like to invite to stay with you at your vacation property. You likely have a solid idea of where you would like your fractional vacation home to be located, but if not, now is the time to start thinking about the location. The more locations you are willing to consider, the better a discount you can negotiate. For instance, if you have your heart set on one specific beach on one island in Hawaii, this gives you very little leeway for comparison and negotiation versus the person who knows they want a beachfront three-bedroom property with a balcony but is open to Hawaii, Mexico, or the Caribbean. Fractional sales refer to the initial sale of a fractional ownership vacation property as soon as the property is completed by the developer. In other words, if you purchase through a fractional sale, you are among the first clients to own that property and vacation there. Fractional ownership resales, on the other hand, refer to the sale of a fractional ownership property that is currently owned by another owner. In other words, the individual owner of a fraction of that property is trying to sell his or her share of it to another owner. There are some discounts to be had through fractional sales, and it is always worth asking if additional discounts are possible. However, if you are looking for a deep discount, you may want to look for a fractional resale property. The largest discounts occur when an owner just wants to get rid of a fractional property fast, for personal or financial reasons. These properties represent excellent value for money and are typically discounted tens of thousands of dollars. The other factor that makes discounts prevalent within the fractional resale of vacation homes is that very few people are ever able to afford a vacation property within their lifetimes. For most people, having a luxury vacation home remains a dream that is simply unobtainable. The pool of interested buyers is incredibly small in the first place, as so few people can afford what is being sold. For this reason, a large discount can often be negotiated. 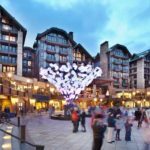 While some people dream of a suite overlooking the Hawaiian beachfront five minutes away from two world-class golf courses and fantastic five-star dining, others search desperately for a mountain resort condo in Canada that can accommodate their growing family as they learn to ski or snowboard. No matter what type of luxury fractional vacation home you are looking for or what budget you are working with, Luxury Fractional Guide offers a wide range of spectacular properties to meet your needs.